Win a luxury one night stay for two at The LaLiT London with three course dinner included at pan-Indian dining destination Baluchi. 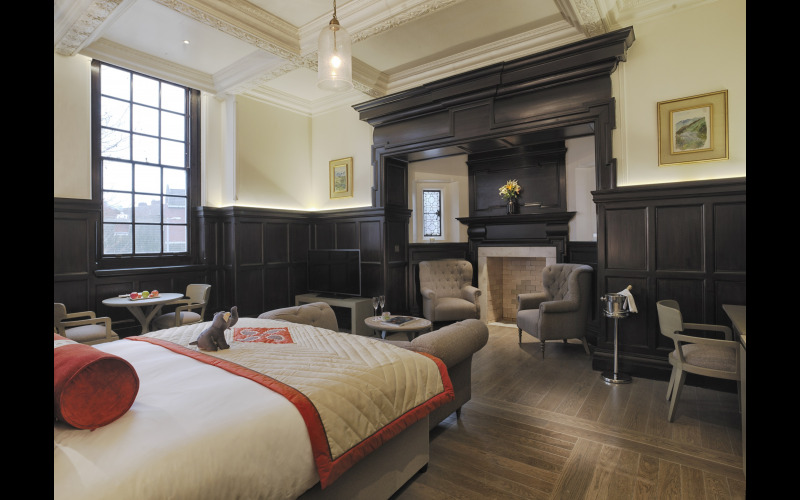 Located in the 180-year-old neo-baroque building that was once St Olave’s Grammar School, The LaLiT London is a luxury boutique hotel featuring 70 beautifully designed rooms, each ornamented with bespoke Indian art - combining Indian culture with a quintessentially British charm, and retaining many original features. Just a stone’s throw away from Tower Bridge, the hotel is discreetly tucked away in the heart of city and conveniently close to many of London’s stunning attractions and business hotspots. Baluchi is the hotel’s pan-Indian destination, offering dining with a difference. Set in the historic Grade II-listed hotel’s Great Hall , Baluchi is reminiscent of its former existence as 19th Century St. Olave’s Grammar School’s assembly hall. Under restored vaulted ceilings and magnificent, eye-catching Hyderabadi hand-crafted glass chandeliers, pops of deep cobalt warm the space and large windows allowing natural light to flood into the dining room. Inspired by the rich curries of the North-West Frontier, the fine dining restaurant pairs the best of international culinary concepts with the complex and innovative flavours of India, each dish rich with history and authenticity.